I sometimes wonder what visitors to Manchester must think when they’re planning their itineraries. Other cities have their palaces (Brighton has the Royal Pavilion, for example, London is full of them) and castles, which are peppered about the country even in the smallest of towns and villages. Where are Manchester’s big tourist attractions, though, apart from the well-worn trail of museums and art galleries, maybe John Rylands or Chetham’s library if you’re feeling adventurous? 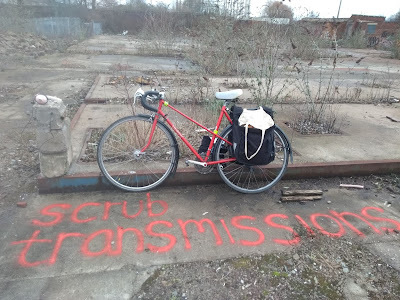 I lived with two travellers, one Australian and one Canadian, who stopped off in Manchester for six months or so after several months living in Edinburgh. Once, I asked them what they had been doing by way of exploring the city and whether they had visited Castlefield yet. I expected them to be full of awe and enthusiasm, captivated by its network of canals and inspired by its towering viaducts. Instead, they shrugged it off dismissively. Turns out they’d been wandering round looking for its castle and were disappointed when they couldn’t find it. But I think Manchester is a city for living in, letting its majesty unveil itself to you slowly. It’s at its best when you’re submerged in its daily routine rather than flying around a few pre-determined sites of interest over a few hours or a couple of days. Manchester’s architecture is useful rather than full of grand, breathtaking follies. That’s not to say Manchester doesn’t have its palaces. 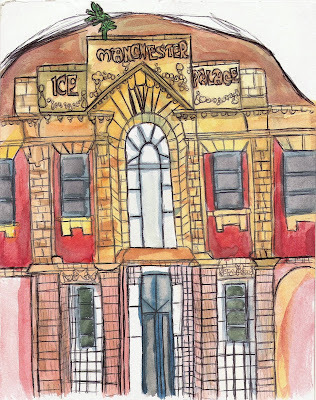 Manchester was once a city of palaces, just the city’s forgotten them over the generations and no-one’s treasured them enough to tend to their upkeep. Their opulence and high-aiming ideals have faded into the background. Not for them immaculately landscaped gardens or well-maintained facades; three palaces in particular have become shabby and neglected, consumed by the city to the extent their rich past has all but been forgotten about (we’ll disregard the celebrated Palace Hotel and the Palace Theatre, which cheated by renaming themselves palaces from the Refuge Assurance Company and the Grand Old Lady of Oxford Street, respectively). They stand, variously, on a corner of the second busiest bus route in Europe, amidst textiles warehouses in an insalubrious area just north of the city centre, and a suburb traditionally packed with rows of terraced houses. Fittingly, for a modern city, rather than monuments to wealth or bloodlines they’re palaces in honour of the common man, built for everyday use. These are the palaces of the Edwardian era, which used sumptuousness and splendour as an inspiration to the average man on the street rather than as an outward display of power and status. There were no empty rooms to be filled with trinkets or lavished in riches - these palaces, two of which were sporting venues, were built to entertain and amuse. Were you to visit them now, you wouldn’t be led round by a tour guide, maintaining a respectful silence, peering at antique-furnished rooms from behind rope dividers or forced to wear shoe coverings. You wouldn’t find out the stories of generations of aristocrats and their antiques and family art collections, but learn about the social mores of the time and the concerns of the society that made them. The least well known and most unusual of the three palaces is the Manchester Ice Palace, which opened in 1910. Hidden in a warehouse area on Derby Street, just off the main road in Cheetham Hill, this expansive redbrick and terracotta building conceals an exciting past; it was once the finest ice skating rink in the world, the biggest in the UK and twice largest in Europe, and home to the Manchester Ice Hockey Club. 14000 square feet of ice was provided by an ice plant across the road and 2000 seats held Edwardian spectators at the National Ice Skating Championships and the 1922 World Championships. The rink was later put to more prosaic use, holding munitions practice during the war before closing in the 1960s and becoming a bottling plant for Lancashire Dairies, whose equipment can still be seen outside. Its imposing exterior, which was once clad in white marble, is now covered in signs for companies like ‘Extreme Largeness’ (which supplies shops like Affleck’s Palace) and ‘Italian Style Revolution’s Handbags’. In a cruel irony, one shop advertises ‘Sunglass in. Hot selling’ in orange letters on its door, with mannequins in the windows sporting comedy sunglasses. 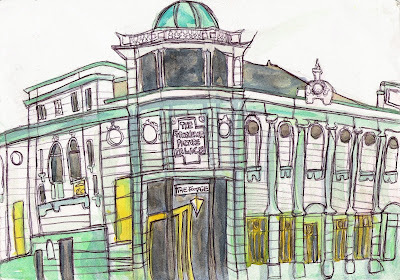 The palace which has best adapted to modern use and still thrives, in a way, is the Grosvenor Picture Palace on the corner of Grosvenor Street and Oxford Road. When it opened in 1915, it was one of a number of cinemas on Oxford Road, which was then known as Manchester’s ‘entertainment street’. It fans out dramatically from its corner plot, presided over by a green dome. Its green and off-white tiled exterior makes it appear like a winged mint, embossed with decorative wreathes of richness and abundance. It was built in the age of mass cinema, which saw the invention of the Picture Palace, a luxurious, sumptuous environment in which the public could go to see films and feel like royalty - at least, for the length of the motion picture. The comfort in which people watched the film was just as much of an escape from reality and the everyday as the pictures themselves. In later years, when cinemas started to close in favour of modern multiplexes, the cinema was reinvented as a bingo hall before becoming The Footage bar (become a facebook fan here!) .The steps to its entrance are cracked and worn, and it’s clearly seen better days, but the building still attracts crowds; The Footage is squarely aimed at students, advertising itself as a ‘burger and beer’ joint with karaoke, sports showings and games machines, with drinks discounts for Scream Card holders. It’s still kept some of the details of its former past, with strip lighting on the stairs, chandeliers and stained glass windows in the shape of cobwebs, streaky with leaf details. Diamond patterned tiles on the stairways lead to its mezzanine level, all wood panelling and ornate railings around its curving balcony, which is decorated in the standard geometric-pattern carpet you still get in modern cinema foyers today. Its cavernous interior contains two bars, one on the balcony level and one in the big main cinema area. Elaborately detailed wallpaper, now peeling, clings to its curved ceiling, and its decorative plaster wreathes, bows, drapes, apples and flowers in interlocking patterns are painted in a grand colour scheme of red, white and green. The décor and whole effect is completely overwhelming, though, and I can’t imagine going there to relax now - there are screens everywhere you look, loud music blaring and constant reminders you’re being watched by CCTV. Even the toilets are depressing, covered with government health warnings (look out for penile swelling!) and posters warning you to report anyone suspicious so you can avert a bomb. 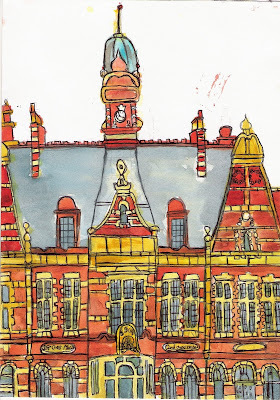 Undoubtedly, though, Manchester’s most important palace, which is a tourist attraction in its own right, is Victoria Baths, on Hathersage Road in Victoria Park. Winner of BBC2’s Restoration, it's now open once a month for the public to reminisce about the recent past. When the Baths were opened in 1906, Manchester’s mayor declared them a ‘water palace of which every citizen can be proud’. Designed by the city architect Henry Price, no expense was spared in trying to inspire standards of hygiene and cleanliness in Manchester’s citizens. The Baths’ public health message wasn’t subtle; stained glass windows use symbols like the Angel of Purity to inspire the average man to cleanliness, sportsmen in coloured glass provide ideals of health and sportsmanship to live up to. Everywhere you look there’s incredible detail, from the fish mosaics of the entrance halls to the tiles that line the walls. No wonder such an inspiring environment produced famous swimmers like the channel swimmer Sunny Lowry, as well as the Olympic swimmers Dianne Ashton and Zilpha Grant. The Baths weren’t just architecturally ambitious; they had their own well and water supply, and later housed an aerotone, an early type of jacuzzi. Nor were they frivolous - at a time when many of the surrounding terraced houses didn’t have baths or laundry facilities, they provided an essential washing and cleaning facility for local families. In later decades, couples met on the dancefloor that was made by covering over the middle pool during the winter months. They weren’t entirely democratic, though. Males and females were divided by separate entrances in the early years of its life, and a very much of its time system saw the water for the three pools used first by the First Class Males, then by Second Class Males and finally by the women. Unfortunately, such a huge palace proved too much of a burden for the local authorities, becoming derelict and overrun by cockroaches towards the end of its life, and the council closed the Baths in 1993. The cloest we haveto a modern day palace is the Trafford Centre, a gaudy, out of town cathedral to commerce. Look closely at our streets though, and you’ll see that the city wasn’t always dedicated to shopping and possessions, buildings didn’t outdo each other in terms of scale or glitz to try to get as much money out of people as possible. Update: On May 27th 2010, the Culture Show included an article on the appeal of popular people's palaces dedicated to entertainment as opposed to stately homes owned by rich people. Forget In the City, the annual music industry showcase of new bands taking place this week - a one day festival this weekend will be a chance see Manchester's newest acts as well as raising money for a good cause. On Sunday October 25, bands, promoters, artists, poets and comedians will join forces to paint the Northern Quarter blue for one day to raise awareness of Oxfam's 'Here and Now' climate change campaign. Oxjam have been preparing the city with a series of events such as clubnights, busking and Speed Dating, at which members of the public were daubed in blue face paint. Alice White, Media and Marketing Coordinator for Oxjam Manchester, explained: "The message is 'shout until you're blue in the face'. All the volunteers and campaigners will be dressed up in blue." She continued; "The whole festival is designed to be interactive, with face painting. We're also creating a huge wave of blue hands on a wall that we hope people will get involved with. We want to make sure we can get as many people interacting and hands-on with the campaign as possible, actually getting physically involved - it's not just signing a mailing list or putting money in a collection tin. She added: "It's free and easy, and more personal than most festivals too. Bands are supporting us by promoting the gigs too - we're working together." The all-day event on October 25 is the culmination of months of hard work. Alice explained: "The festival lasts for the whole of October, and many events have already taken place, but it's all been leading up to the flagship on October 25." "It's different to previous years as before it was just a series of mini-events. This year Oxjam have gone a bit crazy. There are flagship events in 20 cities across the UK all happening on one day." Eight Northern Quarter venues (Mint Lounge, Night & Day, Matt & Phreds, Odd, Common, Apotheca/ Dough, Nexus Art Cafe and Moho Outdoors) will host music from jazz and folk to punk and indie. Alice said: "There's a real range of bands, from Comfortable on a Tightrope at Odd to a special Oxjam Jazz Band at Matt & Phreds." She admitted: "Oxjam isn't an established Manchester name like In the City or Manchester International Festival, but we've got big headliners like Peter Hook and the Sunshine Underground. It's not really about established bands, though, it's more about up and coming names." She continued: "It's a charity event so it's open to everyone. It does represent new music in Manchester, but it also raises awareness for charity. People feel a bit daunted by charity, but this is a way to get connected to people on the city and have fun while you're doing it." "It's going to introduce Manchester people to a lot of unknown bands they might not have heard about whilst using the platform of a music festival to raise awareness of climate change. We're making sure people hear about the bands from Manchester and unheard of bands." It's not just a music festival, though, Alice reminded: "At Nexus Art Cafe, we've got Negotiation of Space, where a student group will create a live art performance based on Oxjam's W8 collection of women from around the world. There will be a woman in a huge dress made out of recycled materials and clothes from Oxfam shops which will become a tent with musicians like violinists playing underneath, as well as eight women dressed up." There will also be circus performers in Tibb Street car park outside Moho Live and Sketch City creating art live in Odd Bar. The winners from Big Issue in the North's poetry competition will be performing on the day. The festival has already provided a chance for members of the public to get involved, as it's all run by volunteers. Alice said: "We started with four members and recruited a team from across the city. They're managing and putting on events, flyering and volunteering. We'll be bringing them all together on the 25th. " The festival has involved a huge amount of hard work. Alice said: "We've put it all together in three months, whereas most festivals take years to get together, but we gathered interest as we went along." She concluded: "We're using the universal medium of music to draw people in. People can connect through music, but hopefully they'll also get into the campaign on the day." Oxjam Manchester, Sunday October 25, 1pm-11pm. Tickets, which cost £7 or £8 on the door, are available from wegottickets and the venues. Visit http://www.oxjammanchester.org/ for band biographies/ full listings and timings. The annual Manchester Food and Drink festival started yesterday, and Manchester is full of events celebrating the city’s culinary culture. One of the most unusual will be held in Heaton Park this weekend, where the public can get a close-up look at the art of beekeeping. I visited last year and spoke to some of the keepers (an interview I never got round to using). The Manchester and District Beekeepers Assocation, which formed in 1895, has been housed in Heaton Park in Prestwich for over twenty years. The society was awarded £500,000 by Manchester City Council and five years ago moved into the park’s handsome eighteenth century Dower House, a small building with imposing pillars and a gravel drive in the grounds of the stately home Heaton Hall. Amidst buzzing (bees fan their wings to maintain a 35 degree temperature to draw water from the nectar) and the sweet smell of honey, visitors can watch bees through magnifying glasses and observation hives, as well as see besuited keepers at work in the outdoors apiary where the bees are kept. All this, plus navigation and flying, is done in the dark, with the help of the wonderfully named waggle dance, a figure of 8 dance that tells other workers how far away a forage is, and which direction it is in. As well as honey, visitors can purchase hand cream, furniture polish, propolis and candles. Different types of honey can be sampled on delicious honey crunch biscuits; volunteers make specialist honey such as borage, mixed floral honey and heather honey - which is the most expensive and described as ‘heavy’. The society also dispels some myths about bees and clear up some common misconceptions, for example clarifying that bumblebees are ‘rounder and hairier’ than honeybees. They also give all important advice on how to avoid nasty stings: “If a bee lands on you, it’s curious - it thinks you’re serious or something. Stand absolutely still - close your eyes and mouth." A bee sting is barbed like a fish-hook with a venom sack on the end. The Dower House will be open for the Food and Drink festival from 2-4pm on Sunday October 4. It is open to the public on Sundays from 12-4pm.